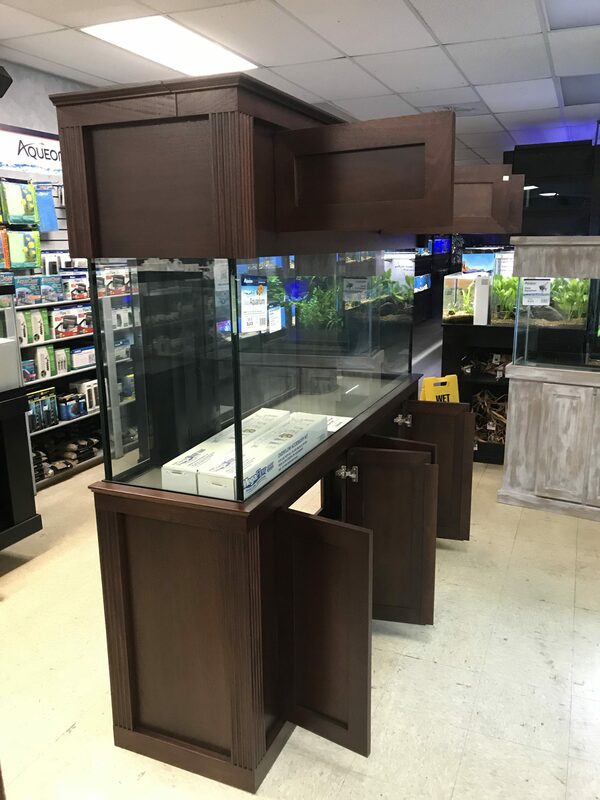 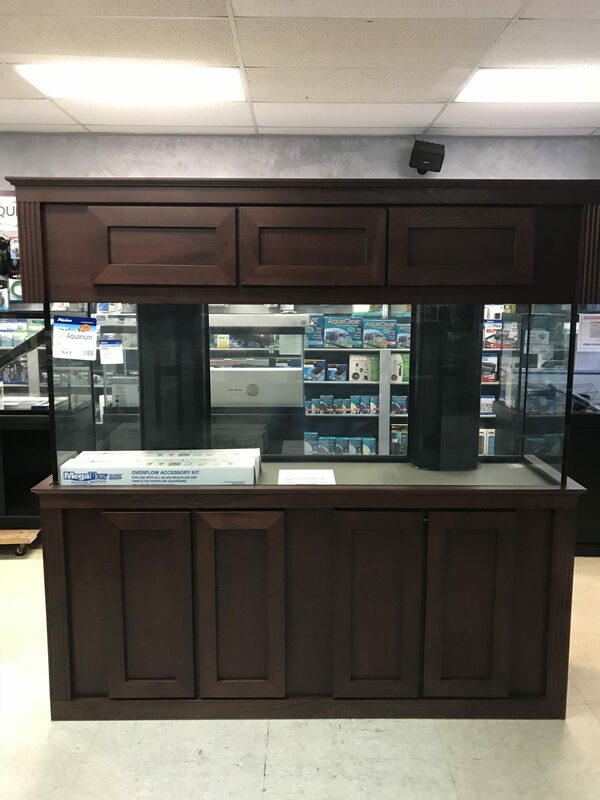 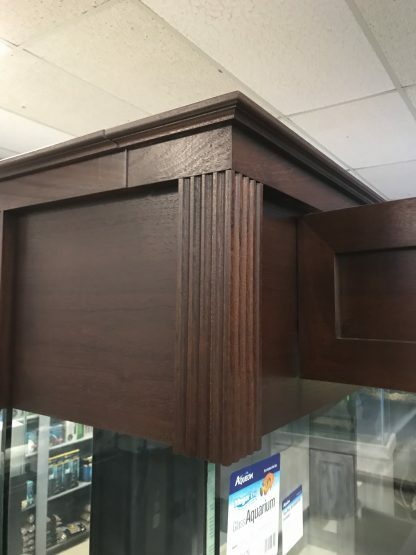 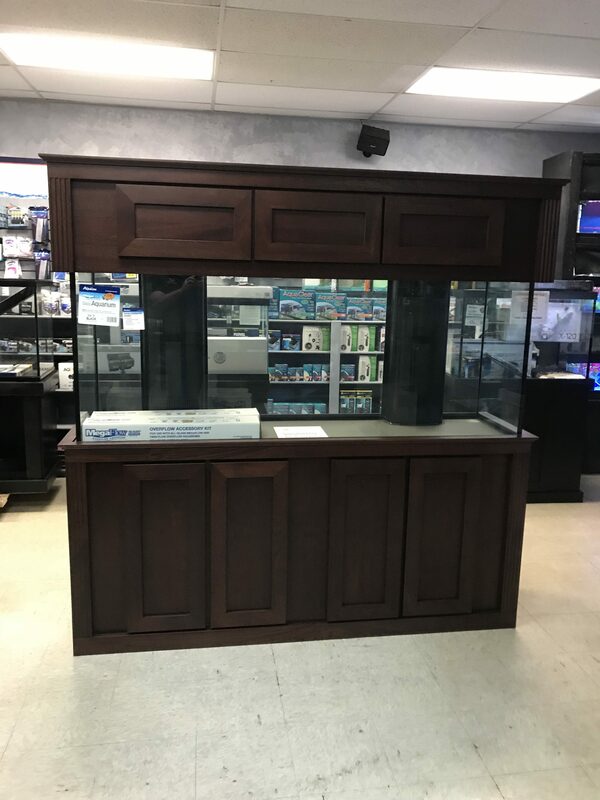 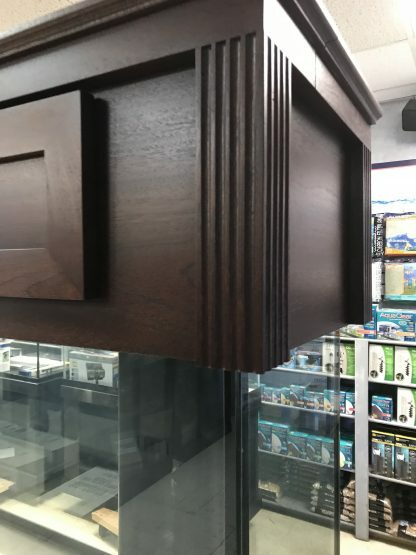 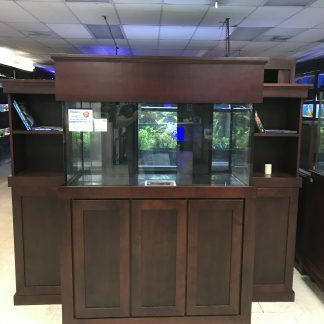 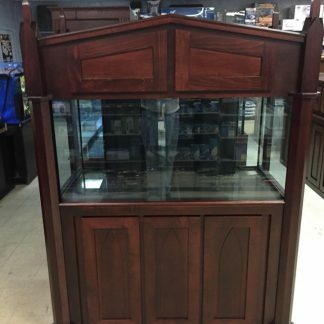 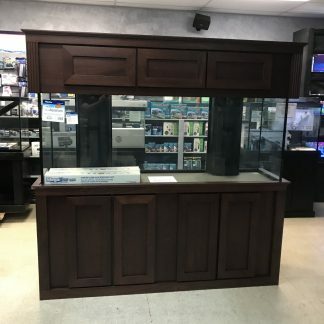 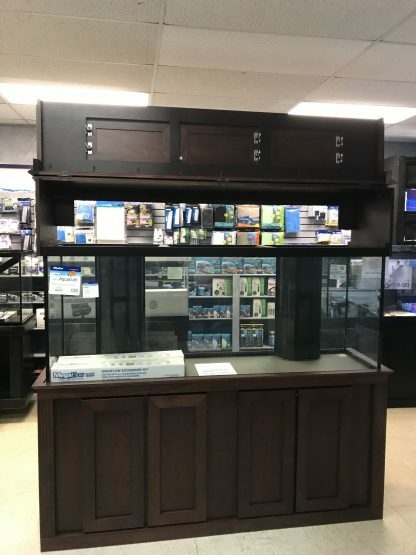 Larochelle Woodworks has created a fluted masterpiece to accompany the height of the 150 gallon aquarium offering from Fishy Business. Two RS200 Eshopps Sumps enable an over-sized sump capacity and two Sicce 3.0 return pumps will ensure a perfect flow rate for the return. 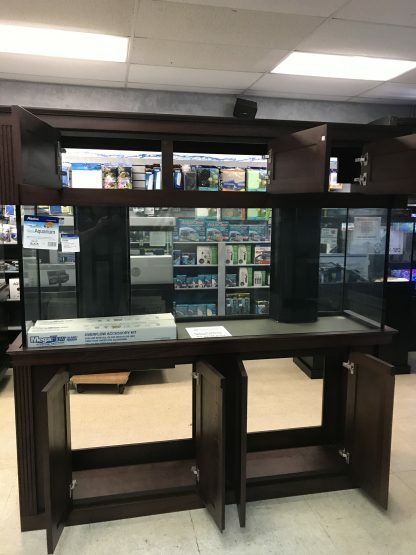 Three Sicce Voyager 4 circulation pumps make for a strong current within the aquarium and the S300 Eshopps Protein Skimmer has all the power to round out the filtration design. 140 lbs of Real Reef Live Rock combined with Real Saltwater sets the foundation of the reef while four 3 foot Fluval Marine LED’s offer maximized illumination capabilities.